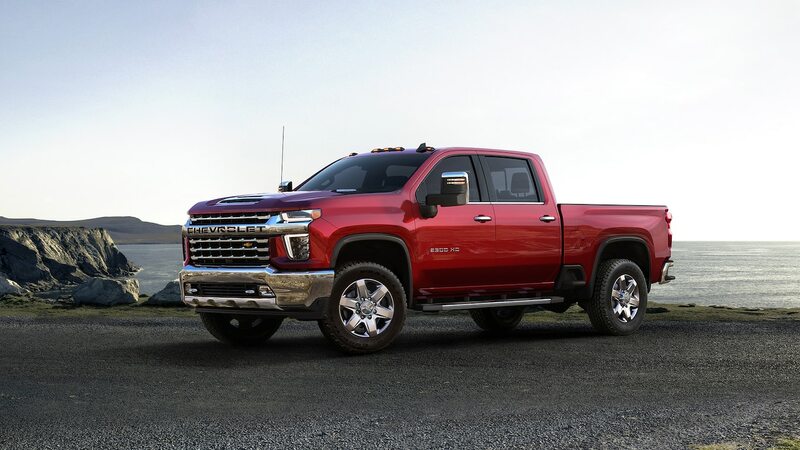 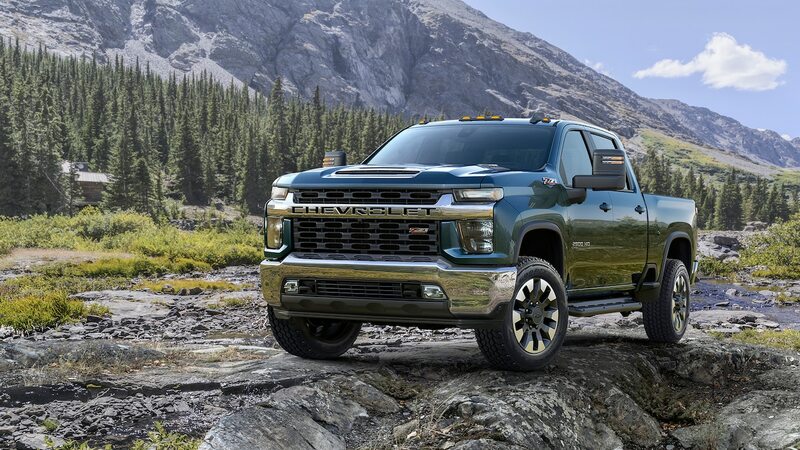 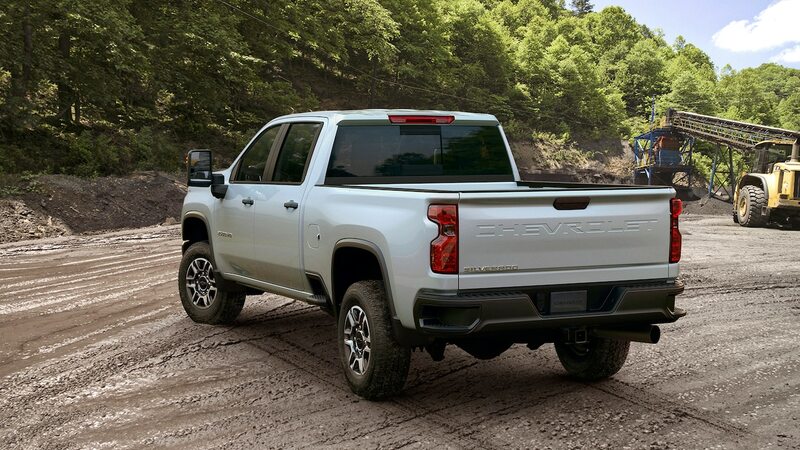 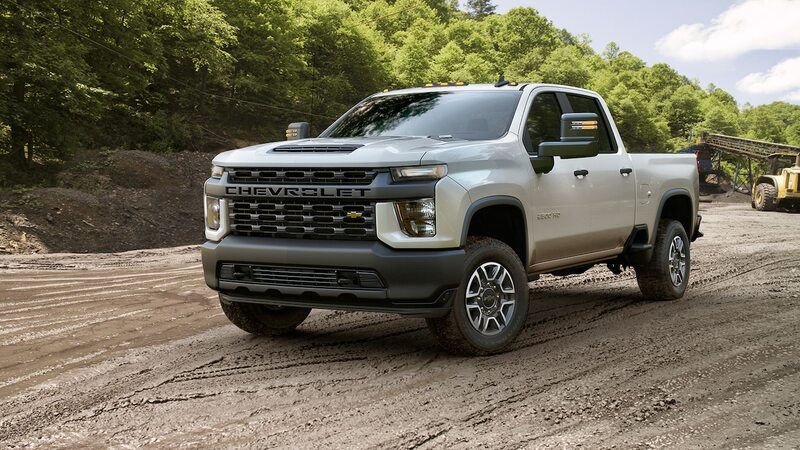 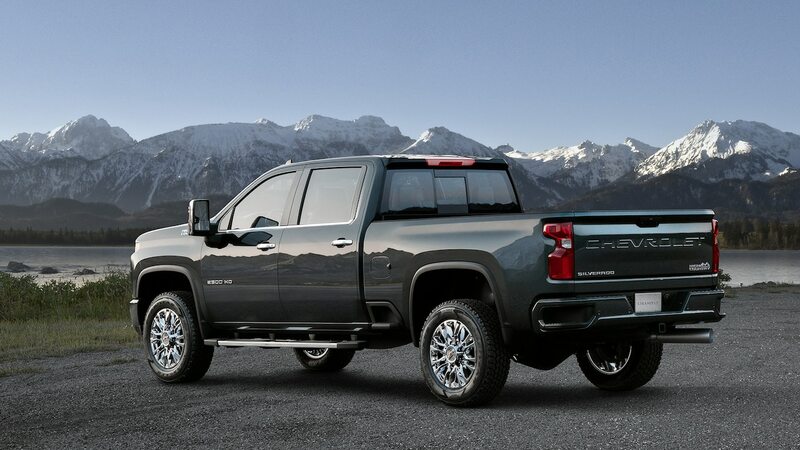 The 6.6-liter Duramax diesel, which has been lightly revised and retuned to work with an all-new GM/Allison 10L1000 10-speed automatic transmission, is still rated at 445 hp at 2,800 rpm and 910 lb-ft at 1,600 rpm, but thanks to further chassis and downstream powertrain reinforcements the max tow rating jumps by 52 percent to a best-in-class-for-now 35,500 pounds (15,875 kg). 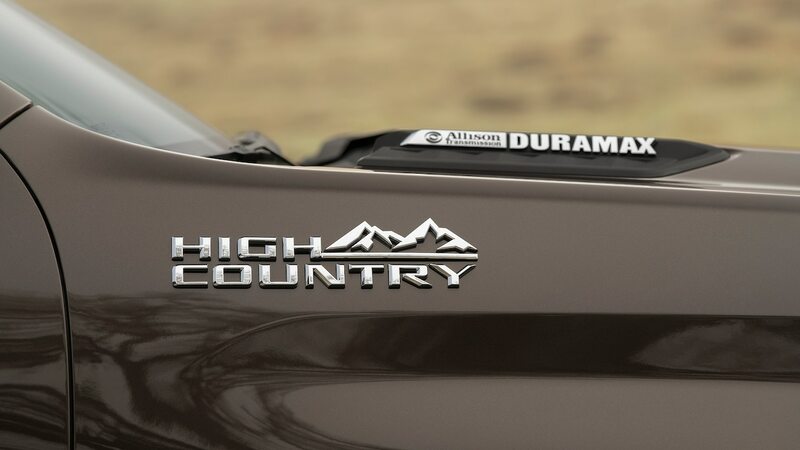 That bests the 1,000-lb-ft Ram by one (400-pound (181-kg)) sumo wrestler. 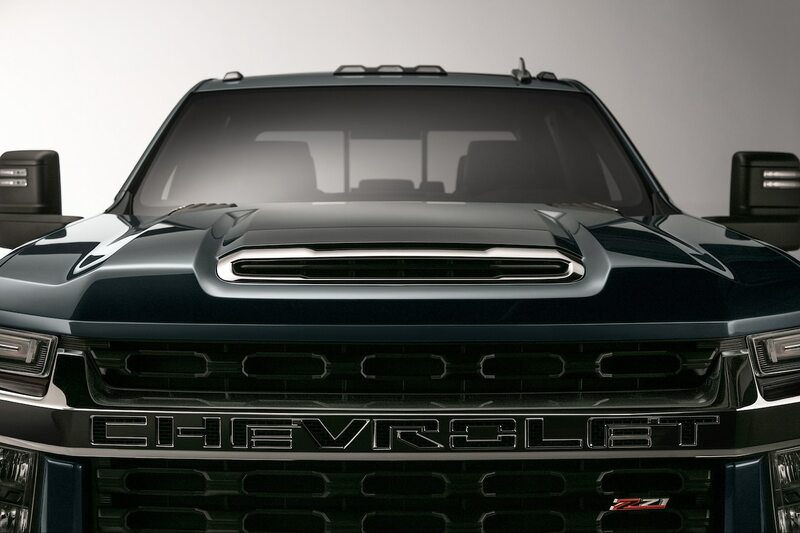 GM reps were also quick to brag that, although 910 is undeniably less than 1,000, at least the GM powertrain can put all 910 of its torques to the ground in first gear, thanks to the aforementioned driveline component reinforcements (subtly implying that the other brands’ trucks are torque-managed to some lower number in the lower gears—an aspersion we’ve yet to confirm). 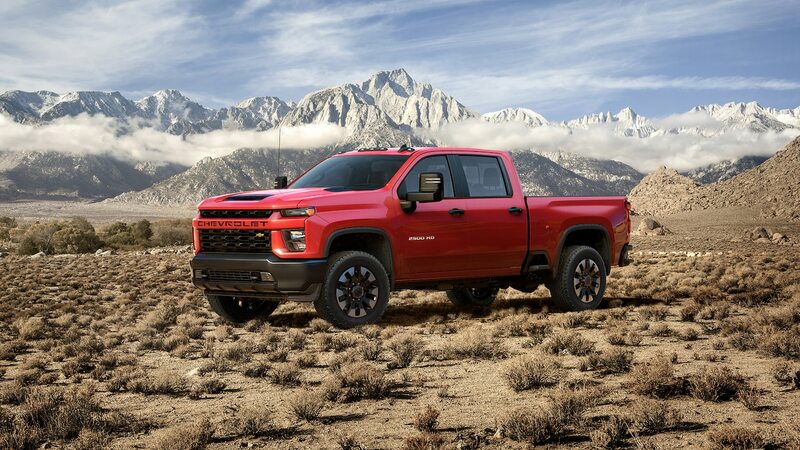 Chevy’s new small-block-derived 6.6-liter gas engine produces 401 hp at 5,200 rpm and 464 lb-ft at 4,000 rpm—that’s predictably down on power but up on torque relative to Ram’s 6.4-liter Hemi (410/429), while Ford’s new 7.3-liter V-8 is likely to best Chevy in both measures once specs are released. 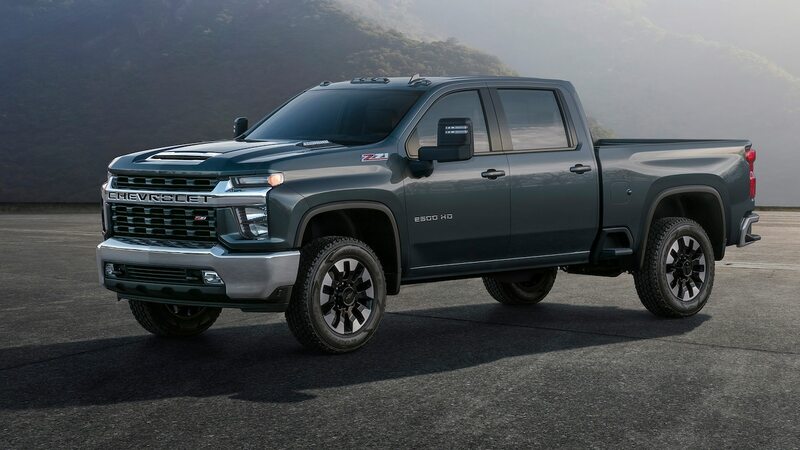 Spinning through a revised 6L90 six-speed transmission the gasser can now tow 17,400 pounds (7,892 kg) and carry a 7,466-pound (3,386-kg) payload. 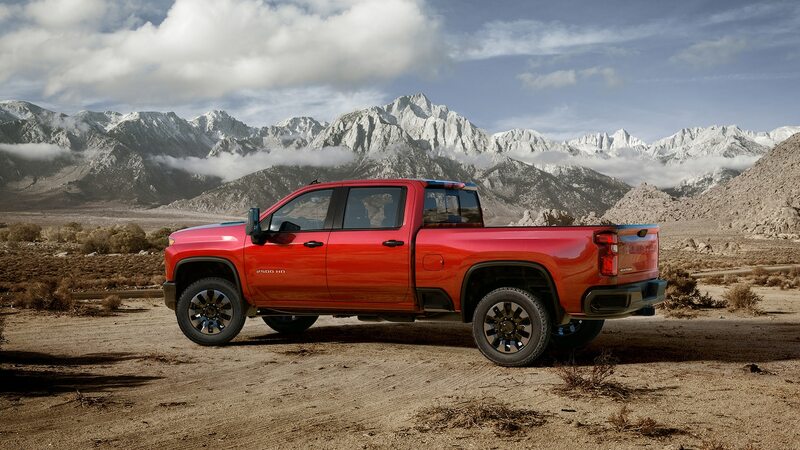 The Ram 6.4 Hemi is rated at 18,210 pounds (8,260 kg) of towing and 7,680 pounds (3,483 kg) of payload, and the current 2019 Ford Super Duty’s puny 6.2-liter V-8 is good for 7,630 pounds (3,461 kg) of payload (the optional 7.3 will surely increase that). 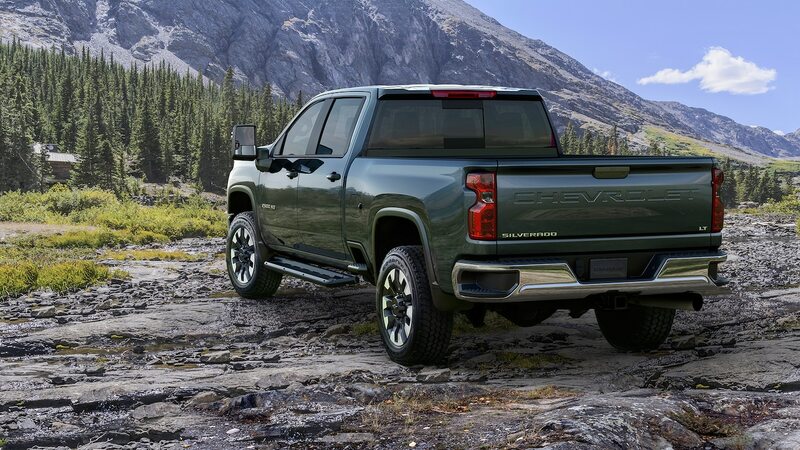 Clearly GM is not looking to win all the numbers games (though it IS willing to print VIN-specific payload and towing capacities on every truck it sells). 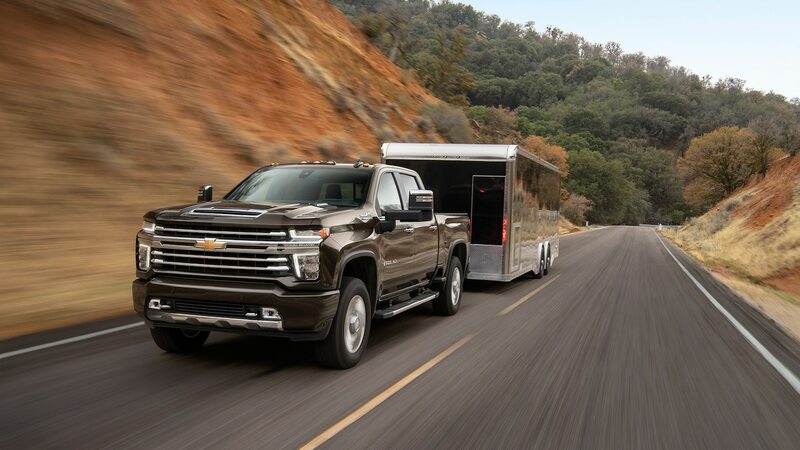 Rather, Chevy wants its heavy-duty trucks to be the easiest to live with—easy to load, to hook a trailer to, and to maneuver said trailer with. 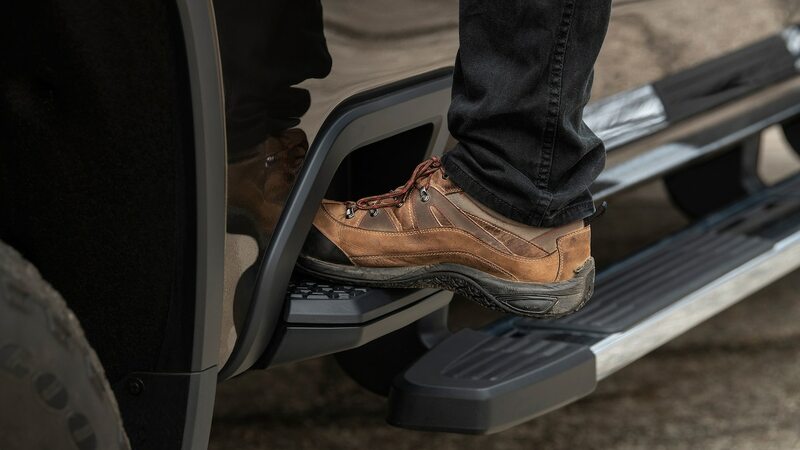 For loading ease, there’s the industry’s only power-up and -down tailgate, larger corner bumper steps, new BedSteps at the front sides of the bed (roomy and strong enough to handle a pair of size-12 boots and 500 pounds (227 kg)), and a lift-in height that drops by 0.9 inch, despite the truck’s height increasing by 1.6 inches. 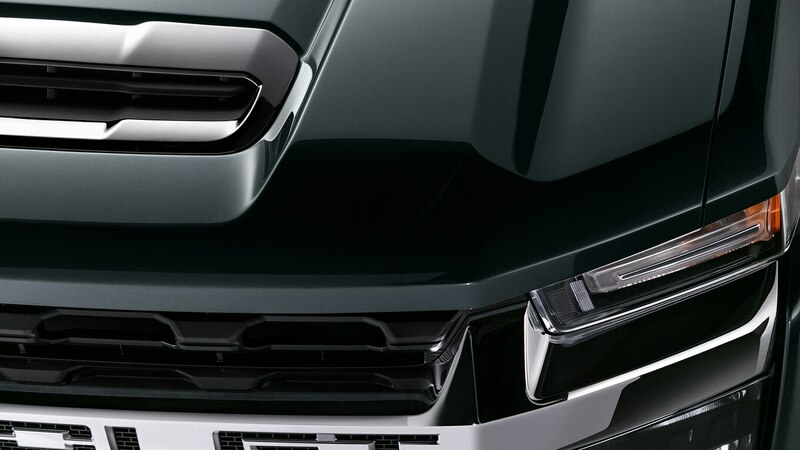 Similarly, the top edge of the box side is no higher than before, despite the taller front end. 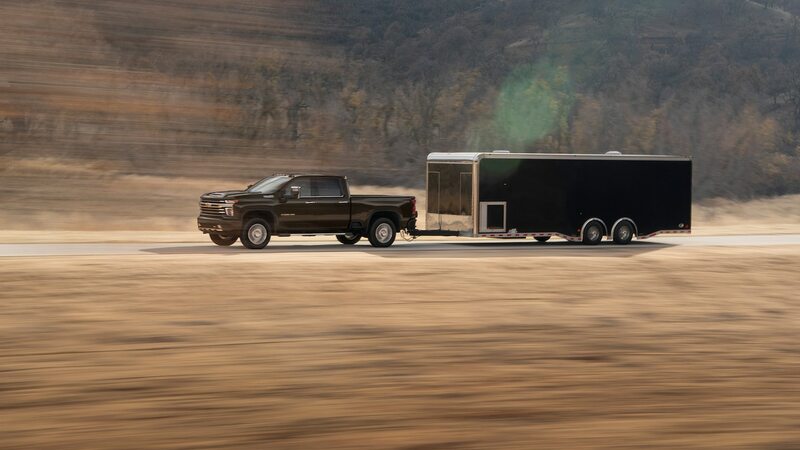 The DuraBed box, using technology (but not stampings) borrowed from the 1500 series, increases in size by 8.6 and 7.1 cubic feet for the short and long bed lengths, respectively, with the 83.5-cu-ft long box boasting best-in-class capacity. 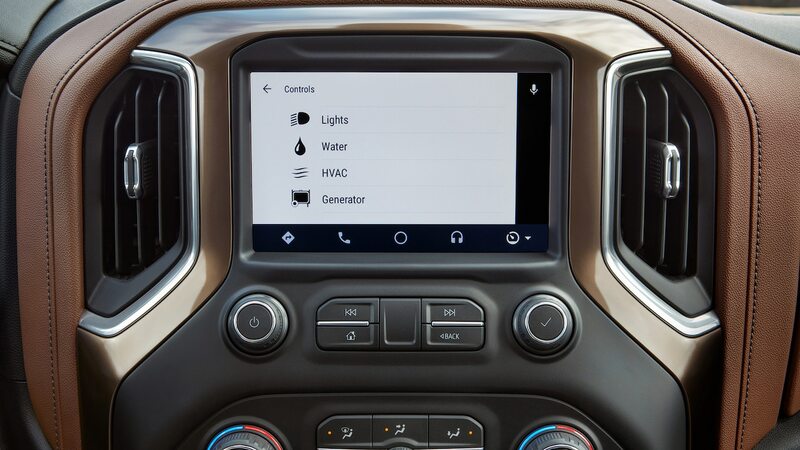 There’s an available 120-volt outlet, 12 tie-down rings, and the ability to add nine accessory tie-downs. 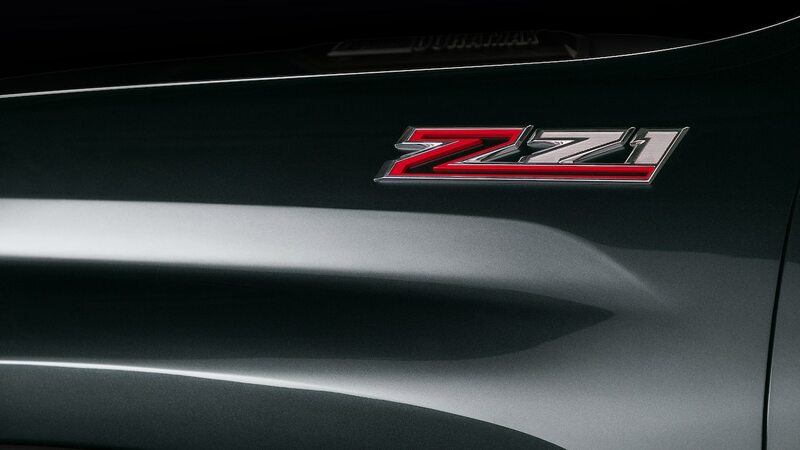 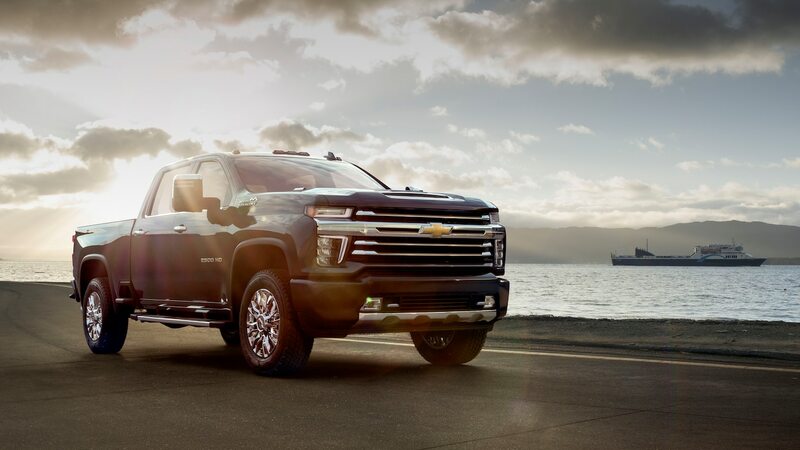 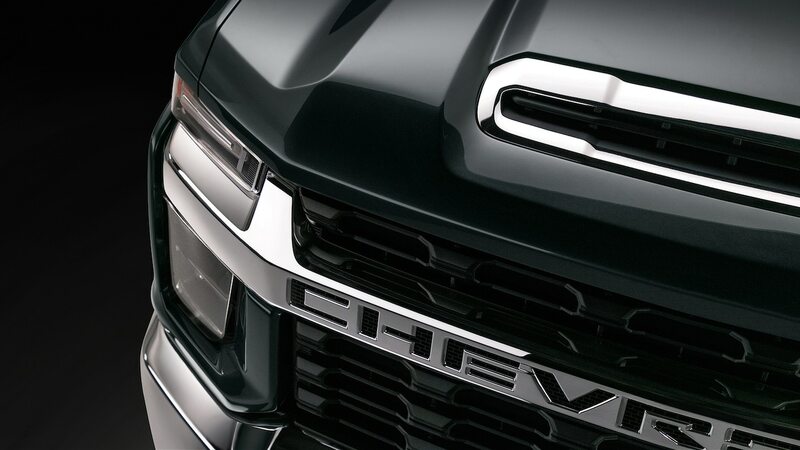 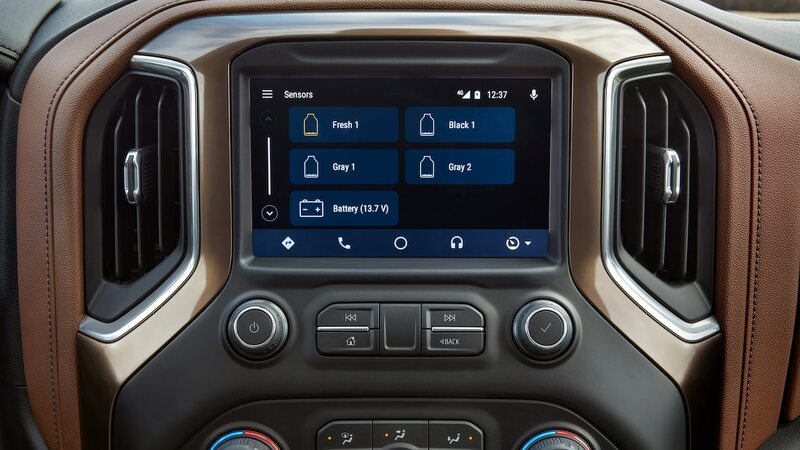 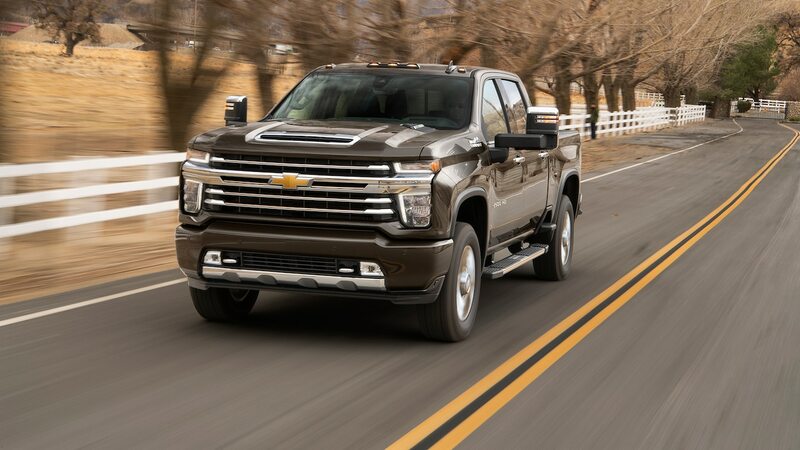 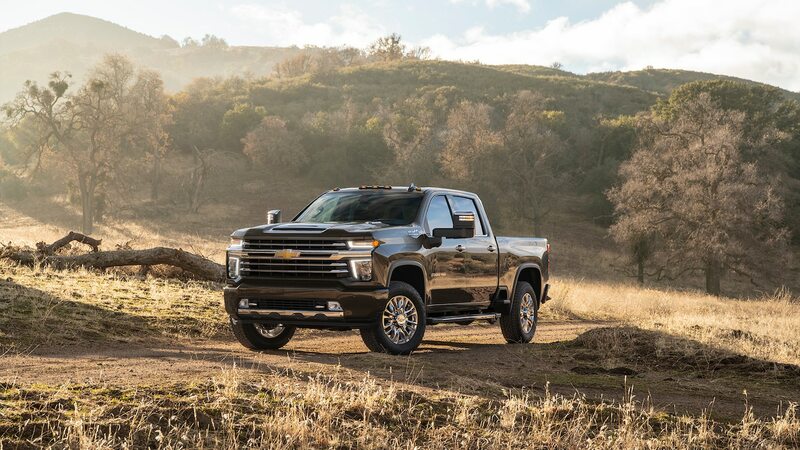 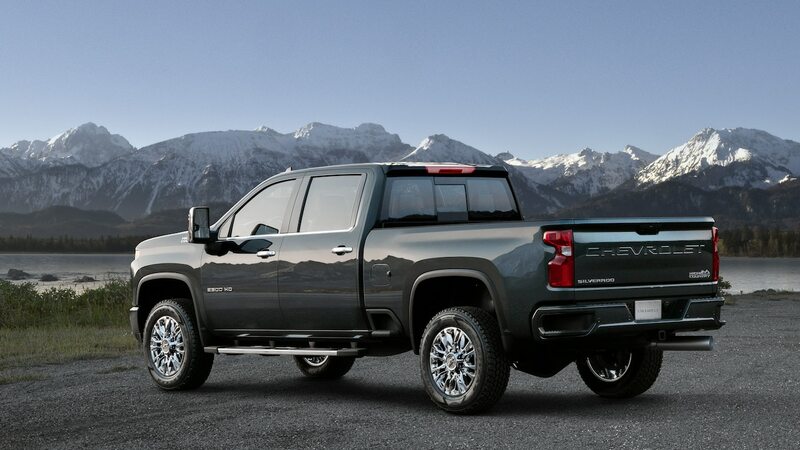 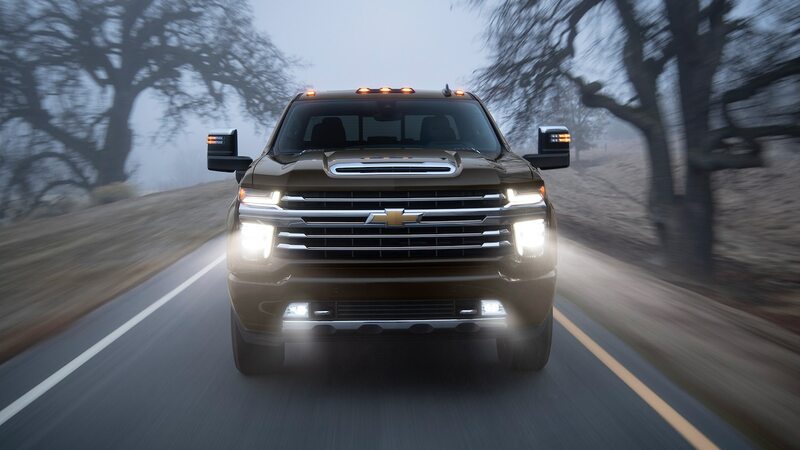 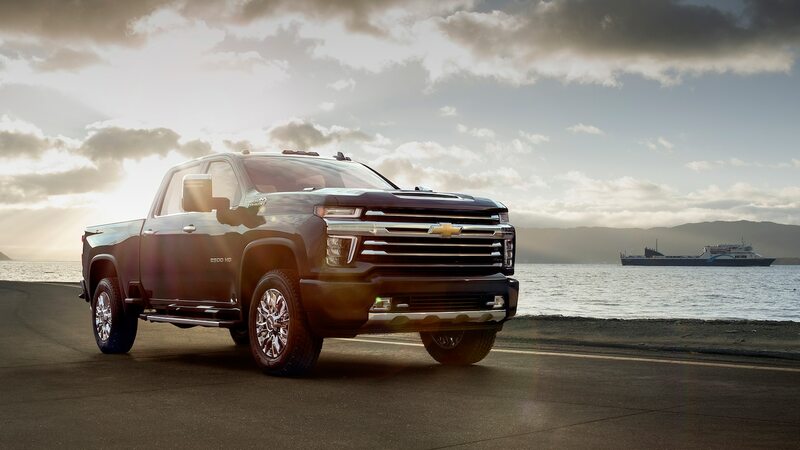 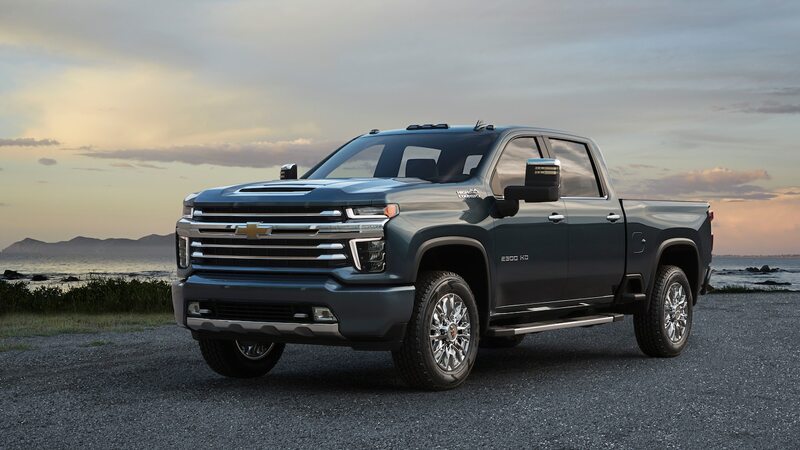 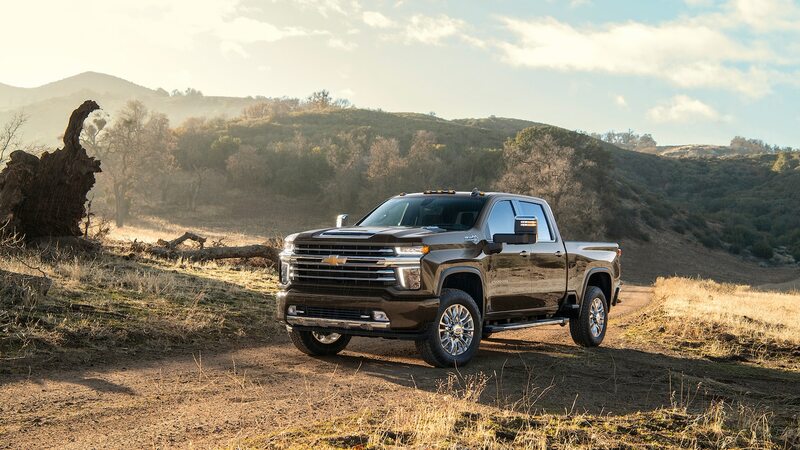 Learn seven cool facts about the new 2020 Chevrolet Silverado HD here. 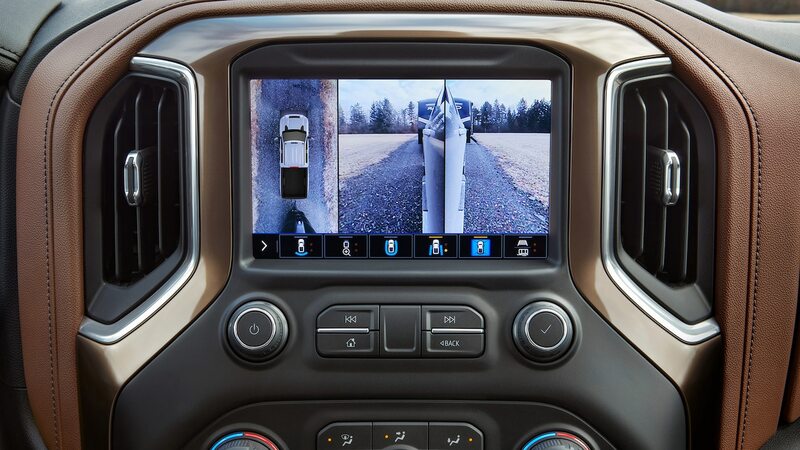 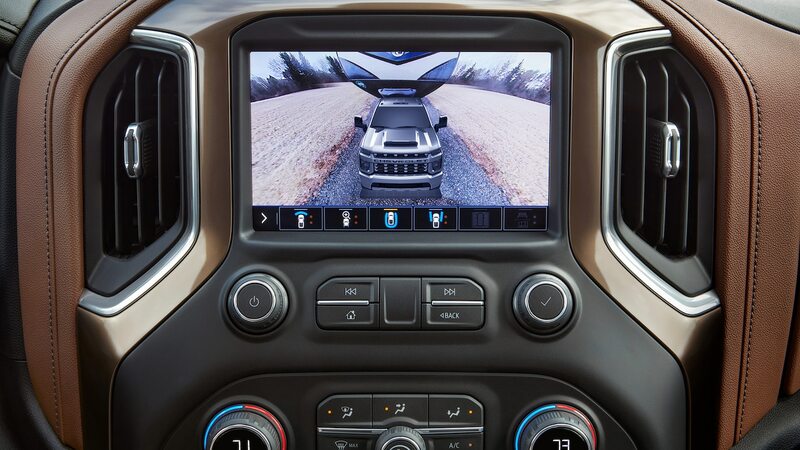 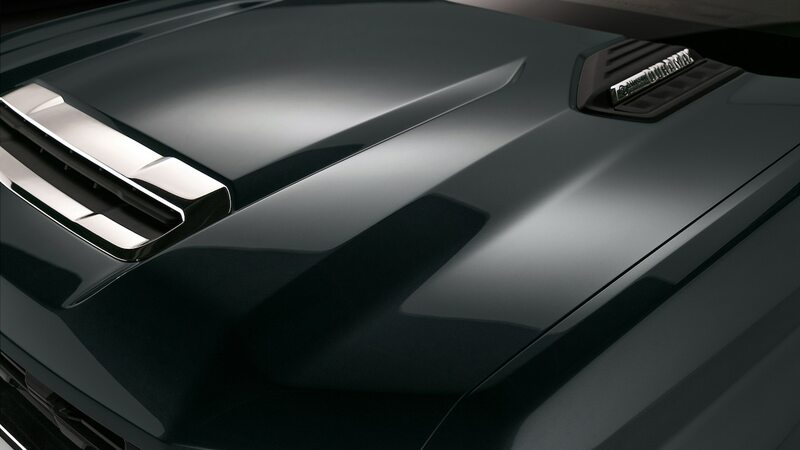 To ease towing tasks (and Chevy claims 90 percent of HD buyers tow), an Advanced Trailering System using accessory cameras that connect via dedicated coaxial cables provides up to 15 camera views including the typical 360-degree surround view, a “bull-view” that appears to be fed by a drone hovering in front of the hood, views of the bed and bumper hitch, close-ups of either front tire when maneuvering around curbs, shots of the trailer tires when turning, and—with cameras attached to a “learned” trailer, views of the inside of the trailer and the super-cool “transparent trailer” view that depicts the rear-view as if there were no trailer there. 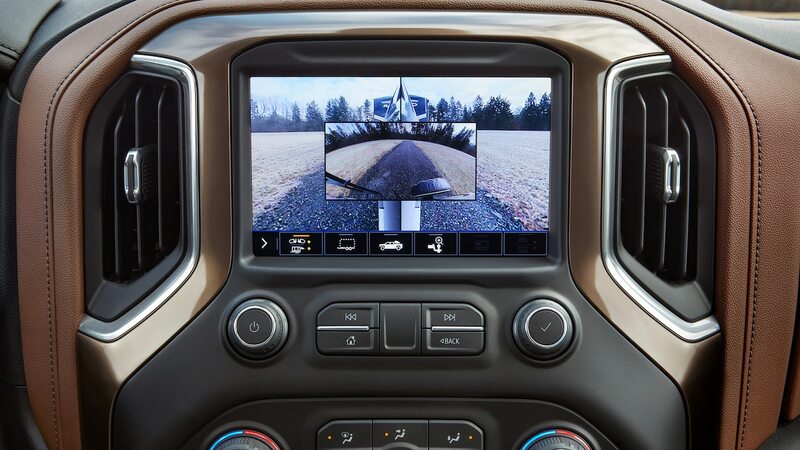 Sadly this cannot legally be displayed on the inside rear-view mirror, but instead shows up on the center screen. 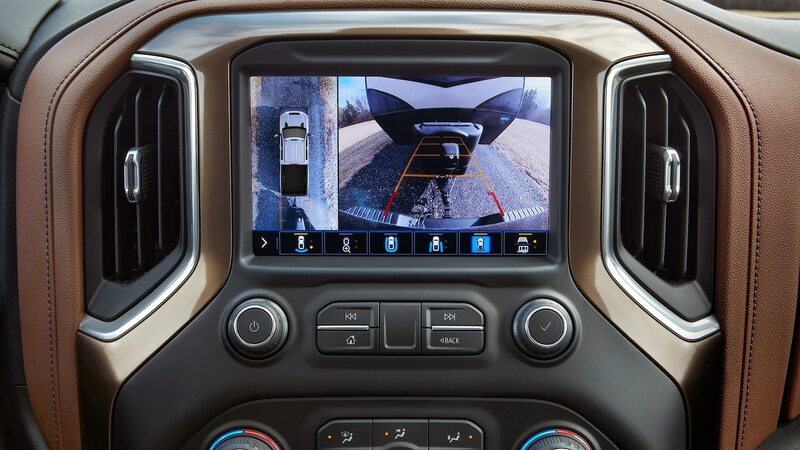 With all these camera views, Chevy reckons you shouldn’t need a knob to help you reverse your trailer. 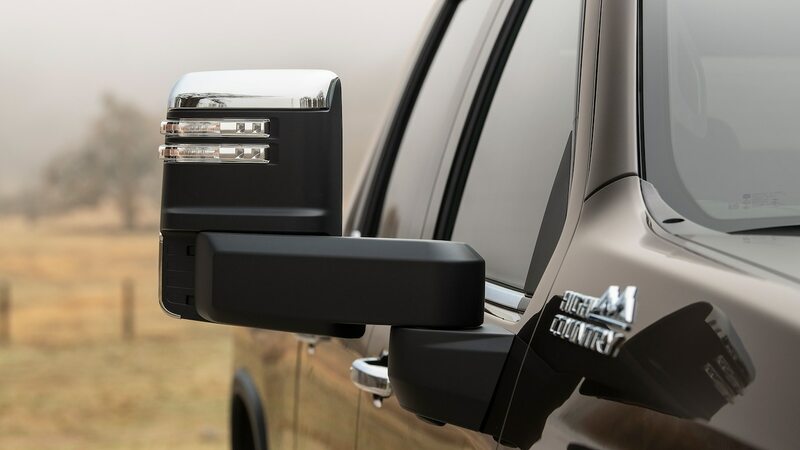 This system will also monitor pressure and temperature of up to six trailer tires and can be programmed to assist with a pre-trip checklist including a trailer-lighting test. 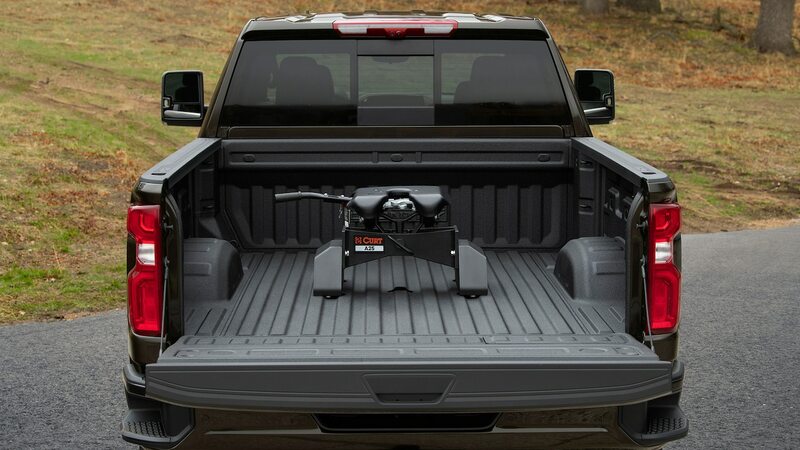 Use your truck for work? 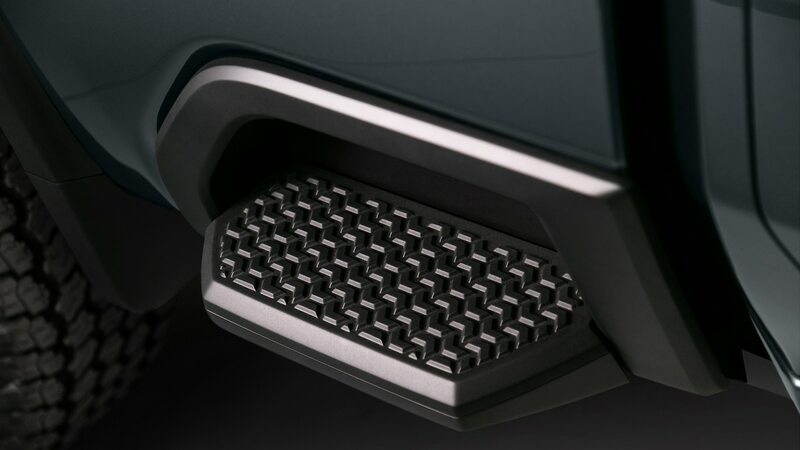 Snow-plow drivers will appreciate a front-end design that features an easily removable air-dam and plow mounting points that require no drilling into the bumper. 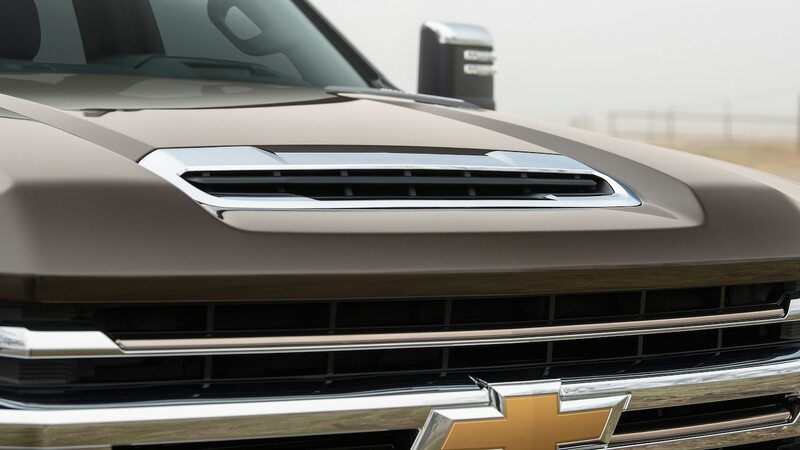 They’ll also appreciate the fact that the optional block heater’s plug is integrated into the driver side of the bumper, around the side away from the plow, behind a cover where it stays clean and de-iced. 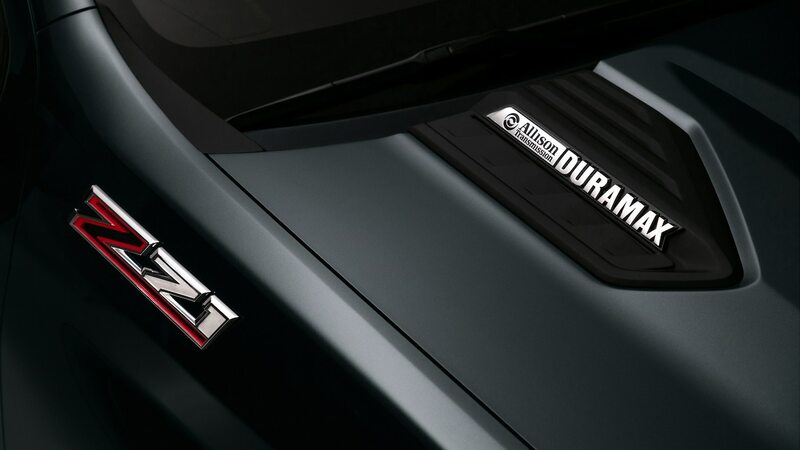 The door panels have large smooth areas onto which your company logo can be plastered. 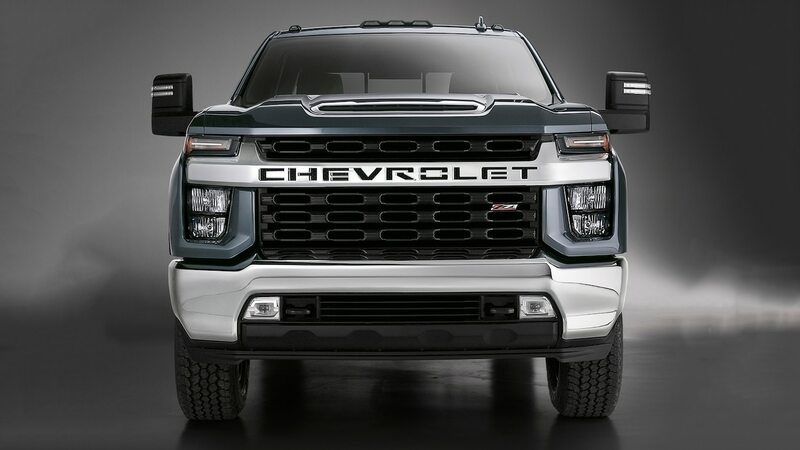 And diesel buyers with a plow-blade, dump-bed, cherry picker or any other hydraulically controlled up-fit device can now power it with a factory-installed power-takeoff mounted to the 10-speed transmission that is chain-driven at engine speed—a claimed improvement over Ford’s gear-driven Live-Drive PTO. 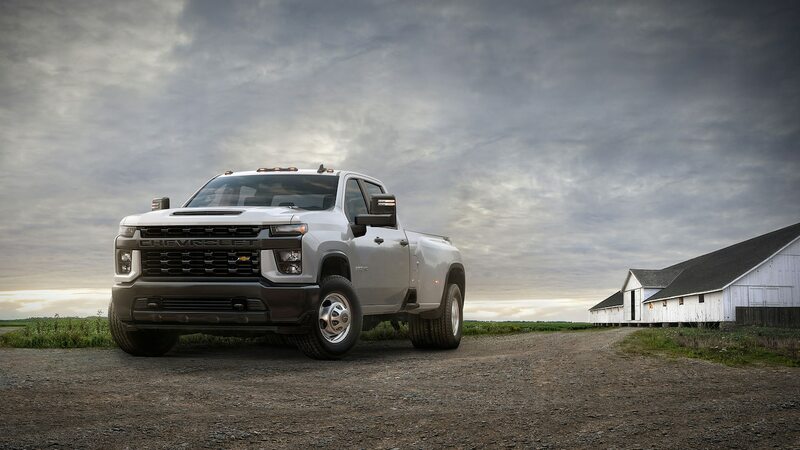 So what’ll the new 2020 Silverado HD be like to live with? 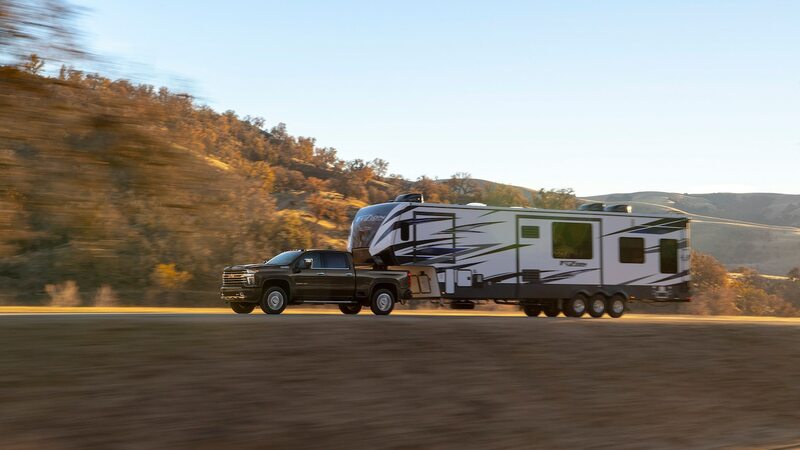 It’s bound to drive BIG. 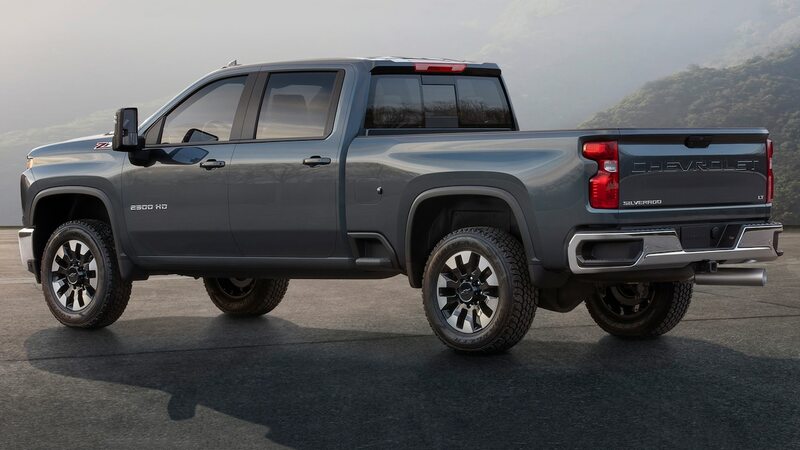 The popular crew cab standard box truck is 10.4 inches longer on a 5.2-inch longer wheelbase and it’s 1.4 inch wider, but side visibility is improved with lower side-window-sills and mirrors spaced away from the A-pillars (that hood seems mighty high, though). 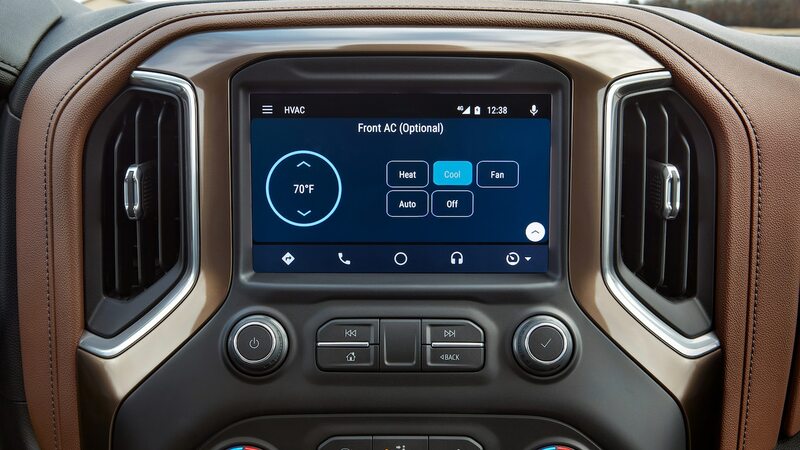 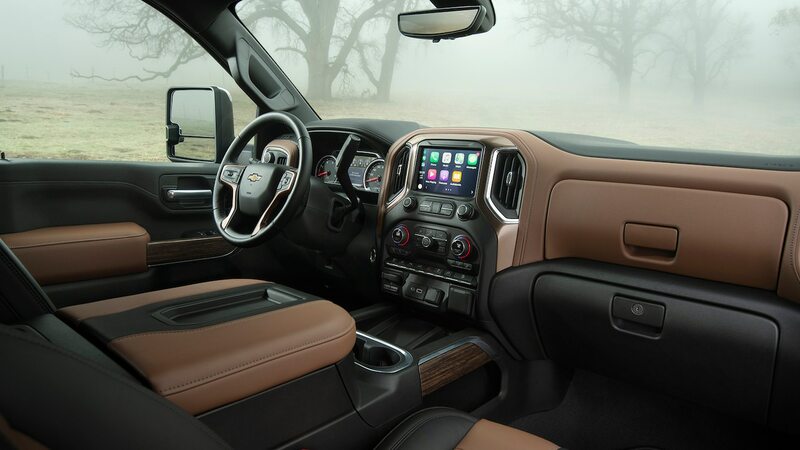 The dash is largely borrowed from the light-duty truck, meaning it’s less posh looking than the Ram’s at each of the five trim grades (work truck, LT, Custom, LTZ, and High Country). 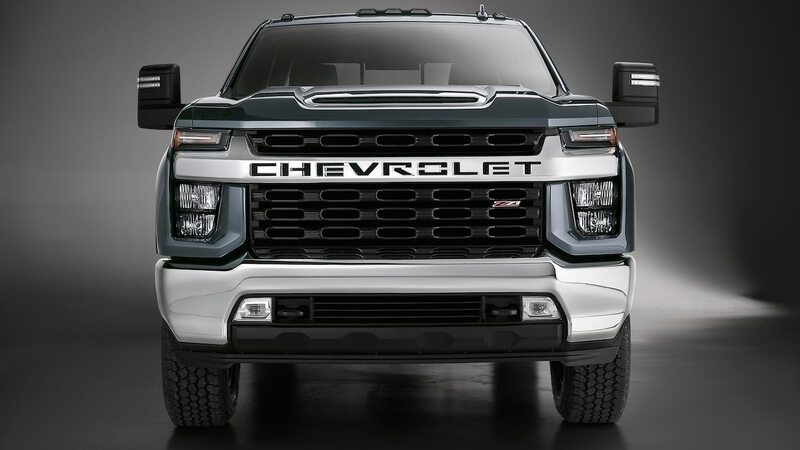 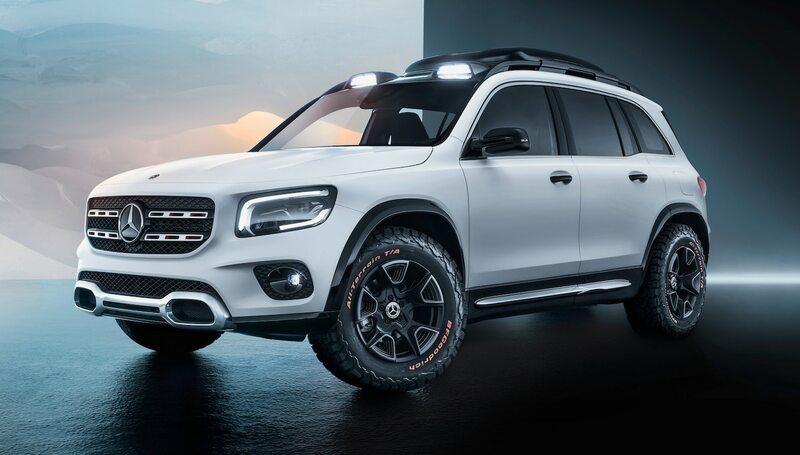 We’re promised improved ride/handling, thanks to a stiffer frame, a body structure that is more rigid now that it’s integrated with front-end structure the way a car body is. 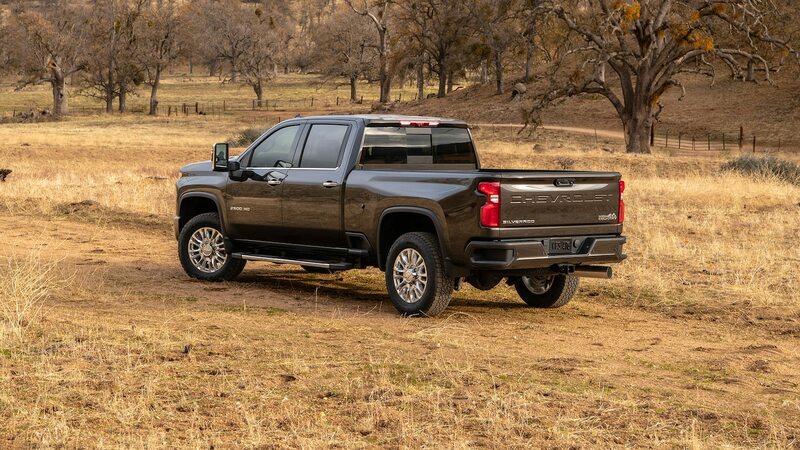 And GM remains the only heavy-duty pickup manufacturer to fit a fully independent control arm front suspension to all variants—a boon for ride isolation relative to the swing-arms or rigid axles everybody else uses. 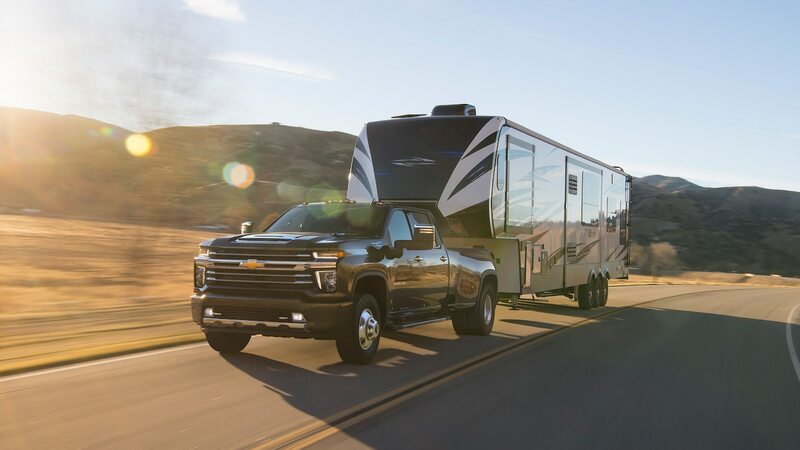 We look forward to testing Chevy’s claims of driving, towing, and loading ease and assessing the new HDs’ value proposition a bit closer to the summer on-sale date. 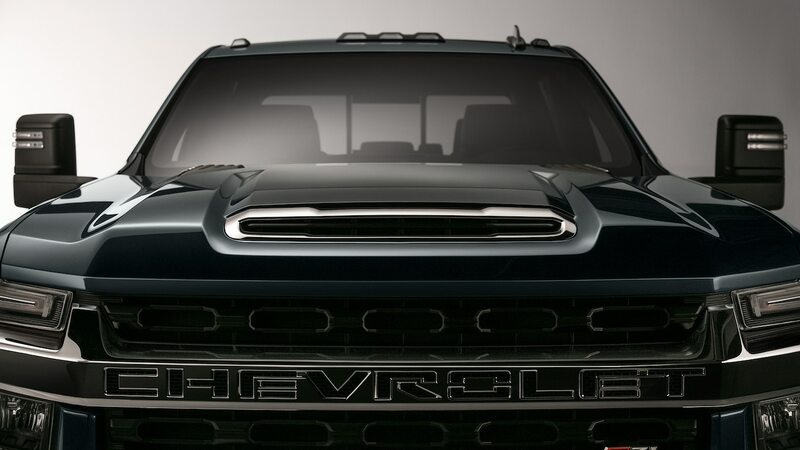 And get ready for a clash of three titans as Chevy, Ford, and Ram face off at this year’s truck-of-the-year contest.